Shop Operator: JUREK S + R s.r.o. Registered in the Commercial Register at the Regional Court in Ostrava, Section C, Entry 22353. Supplier: JUREK S + R s.r.o. 2.1. 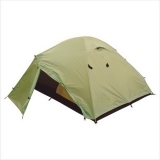 The list of goods on the outdoor-gear.eu e-shop is a catalog of the supplied goods, including the prices of each item. The offer of goods and the prices of these goods remain valid for as long as they are displayed on the website of this online store, except for the provisions of 6.2. 2.2. 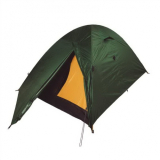 The client (hereinafter referred to as the "Customer") selects the goods, duly completes the order form on the eshop website of outdoor-gear.eu and sends the order. Before the final order is sent to the Supplier, the Customer is allowed to check and change the data he has entered into the order. The prices of the goods are valid at the moment of placing the order, except for the provisions of 6.2. The sent order is a proposal for the conclusion of a purchase contract or, in the case of a personal takeover, for the reservation of goods (see Article 4 of these Terms and Conditions). By sending the order, the Customer confirms that he has become acquainted with these Terms and Conditions and agrees with them in sufficient time before making the order. 2.3. After sending the order, the vendor informs the Customer by e-mail to the address the Customer stated that his order was registered in the system. This email is automatic information that the Supplier has received his order but is not considered to accept the proposal to enter into a purchase agreement. The next time the Customer receives an additional e-mail message in which the order will be confirmed by the Supplier - the new status is: CONFIRMED, and the sales contract will be closed. 2.4. In the case of a personal pickup, the purchase contract is deemed to have been concluded after payment of the full purchase price and after picking up the goods by the Customer. 2.5. If the Customer does not receive an email about the receipt of the order by the Supplier within 24 hours of sending the order from the e-shop, please contact the supplier via e-mail - radim@jurek.cz . 2.6. Prices for shipping and any other charges (if any) are shown before the order is terminated. Before the order is sent, the total price is calculated, consisting of the purchase price of the goods, the shipping charges and any other charges, and the Customer agrees the amount of the order. Both the Customer and the Supplier may, without giving any reason, cancel the order until the moment of the purchase agreement. Cancellation of the order after the conclusion of the purchase contract is possible only after the prior agreement of the Supplier and the Customer, and under the terms that they agree with each other. 2.8. The goods can also be ordered via email at radim@jurek.cz . In this case, the purchase contract is concluded when the Customer and the Supplier agree the essential terms of the contract (especially the type of goods, quantity, total price, method of payment and delivery of goods). In the case of a personal pickup, the purchase contract is deemed to have been concluded after payment of the full purchase price and after picking up the goods by the Customer. Ordered goods will be dispatched by Customer's choice, either by DPD, GLS or by another carrier, in the shortest possible time depending on the Supplier's availability and service options but after the Supplier's account is credited by the total price of the goods. Since the status of the Supplier's warehouse is not linked with the outdoor-gear.eu e-shop online (only updated on business days, usually once a day), it may happen that the required goods are no longer in stock because they have been sold since the last update. In such a case, the Supplier shall immediately inform the Customer of this fact and propose a new date for the delivery of the goods. Delivery to the address specified by the Customer is ensured by the Supplier through the carrier chosen by the Customer. The shipping cost depends on the value of the ordered goods, the destination and the Customer's chosen shipping service. The amount of the shipping cost to the Customer is shown before the order is terminated (see Article 2 of these Terms and Conditions). The price of the goods can be paid by placing the total price on the Supplier's account under the appropriate variable symbol identifying the payment. The Customer or his intended addressee is obliged to inspect the goods immediately upon receipt. If a mechanical damage to the product packaging is found, the Customer or his designated addressee in the presence of the transporter is obliged to check the condition of the goods and, in case of damage, to make a record of damage to the consignment and to confirm this fact by the carrier. By signing a delivery note, the Customer or his designated addressee agrees to take over the goods and confirms that they have arrived undamaged. Later complaints caused by transport may not be taken into account and will be rejected. All communication between the Supplier and the Customer is effected by electronic mail unless the parties agree otherwise. 3.6. The goods consigment always contains a tax document and, if applicable, a warranty sheet and instructions for use of the product. Demonstration of goods, installations or other services are not part of the sales contract. 3.7. The provisions of this Article 3 apply only to purchase contracts concluded in the case of mail order sales, not for the personal take-over of goods. If the Customer orders goods via the Internet or otherwise provided in Article 2 of these Terms and Conditions and takes it personally at the Supplier's branch in Kunčice pod Ondřejníkem 766, CZ, the Supplier only confirms that the goods have been reserved for the Customer at the Supplier's branch for 6 working days from the delivery an email about the receipt of the order by the Supplier, unless another time is specified in the order receipt email. The Customer is entitled to inspect the goods at the Supplier's branch before concluding the purchase contract and to become familiar with the nature and characteristics of the goods. In the case of personal pickup of goods at the Supplier's branch, the purchase contract is deemed to be concluded until the full purchase price and the acceptance of the goods by the Customer. The minimum warranty period for all goods is 24 months according to Act No. 89/2012 Coll., Civil Code, as amended (hereinafter referred to as the "Civil Code"), and starts by taking over the goods by the Customer or his designated addressee. If there is a warranty certificate for the product, it is issued on the day the goods are sold. If the warranty card does not exist, a tax document is used as a warranty card. The warranty does not apply to the normal wear and tear of the goods (or parts thereof) caused by use. 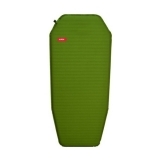 The shorter product life in this case can not be considered a defect and can not be claimed as such. For the avoidance of doubt, it is stated that the warranty period is intended only for final consumers, not for those who buy goods in their business. If the Customer has found a defect in the purchased goods during the warranty period, a defect which was not due to its inappropriate use or normal wear and tear, but to the defect of the product itself, he has a right to claim the goods during the warranty period. The claimed goods must be sent to the address of the Supplier's branch referred to in Article 1 of these Terms and Conditions. The Customer will send the claimed goods together with a tax document (or a warranty certificate, a duly certified Supplier, including the date of manufacture and sale), an accompanying letter describing the defect (or the location of the defect) and the way the product is dispatched. It is advisable to dispatch the goods in original packaging or other suitable packaging, as the Supplier is not liable for any damage before the goods are received. For the avoidance of any doubt, it is stated that the Customer may also claim the goods personally at the Supplier's branch in Kunčice pod Ondřejníkem 766, CZ. The Supplier shall assess the merits of the claim for defect in the goods and shall, upon assessment, inform the customer in writing, including how to handle the goods claim. The deadline for processing the complaint is 30 days in accordance with Act No. 634/1992 Coll., On Consumer Protection, as amended. 6.1. In the case of withdrawal, the sales contract is abolished from the outset, and the parties are obliged to return all the received transactions. The Supplier is entitled to withdraw from the Purchase Agreement or a part thereof until the goods are dispatched, in which case the goods are no longer produced, delivered or unavailable, or the price of the Goods Supplier has changed significantly, as well as in case of a manifest error in the price of the Goods prices clearly different from the price for this type / type of commodity). For example, a mistaken indication of the number of figures, the apparently low price of the goods (eg a 50% lower price than usual for that type and type of goods) and other obvious mistakes in writing are considered to be obvious errors in the price of the goods. In the event that this occurs, the Supplier will immediately contact the Customer to agree on the next step. In the event that the Customer has already paid part or the whole of the purchase price, the amount will be transferred back to his account or address as soon as possible within 7 business days, but no later than 14 days after the order is canceled by the Supplier. (A) The Customer is entitled to withdraw from the sales contract if the Supplier fails to meet the agreed delivery terms. (B) In accordance with the Civil Code, the Customer also has the right to withdraw from the sales contract without giving any reason in the cases provided for in Article 2 and Article 3 of these Terms and Conditions, within 14 days of the day following the day on which the Customer or his designated addressee takes over the goods. If the Customer so decides, he is obliged to send the undamaged goods, without signs of use or wear, in the original packaging and all accessories, back to the Supplier, i.e. JUREK S + R s.r.o., Kunčice pod Ondřejníkem č.p. 766, district Frýdek-Místek, CZ, post code 739 13, without undue delay, no later than 7 days from the date of withdrawal from the purchase contract. The period shall be deemed to be maintained if the Customer returns the goods back before the expiry of that period. In such a case, the Customer is obliged to bear, in accordance with the provisions of Section 1820 (1) g) of the Civil Code the direct costs associated with the return of goods. For the purpose of exercising the right to withdraw from the purchase contract, the Customer must inform his Supplier of his resignation, ie JUREK S + R s.r.o., Kunčice pod Ondřejníkem č.p. 766, Frýdek-Místek, CZ, post code 739 13, email: radim@jurek.cz, in the form of unilateral legal negotiations (for example, by postal mail or e-mail). The Customer may use the template to withdraw from the Purchase Agreement, which forms Annex 1 to these Terms and Conditions, but this is not his responsibility. In order to comply with the withdrawal period, it is sufficient to submit a withdrawal before the expiry of the relevant period. 6.4. If the Customer withdraws from the sales contract and the Supplier receives the goods back in accordance with this Article 6, the Supplier shall return all payments received from the Customer without undue delay (at the latest within seven working days), including delivery costs (excluding the additional costs incurred in due to the customer's chosen delivery method, which is different from the cheapest standard delivery method offered by the Supplier). For payment reimbursement, the Supplier uses the same means of payment (excluding payment by credit card) used by the Customer to execute an initial transaction or a non-cash transfer to an account specified by the Customer, unless the Customer specifies otherwise. In the case of payment of an initial transaction with a payment card, the Supplier shall return the payments to the account specified by the Customer, unless the Customer expressly decides otherwise. 6.5. Where the Supplier receives the goods back in a condition other than that provided for in this Article 6, the Customer shall be liable to the Supplier for an impairment of the value of the goods. The Supplier is entitled to offset unilaterally against the Customer's claim for a refund. The loss of value of the goods can not be considered as normal damage to the original protective packaging resulting from the unpacking of goods. 6.6. The right of withdrawal under this Article 6. does not apply to Customers who have purchased the goods personally at the Supplier's branch, i.e. through a "personal pickup" regardless of whether the goods have been ordered (booked) in the Supplier's e-shop or otherwise foreseen in Article 2 Terms and Conditions, or purchased the goods personally at the Supplier's branch without prior reservation (reservation). 7.1. Article 13 of Regulation (EC) No 2016/679 of the European Parliament and of the Council on the protection of individuals with regard to the processing of personal data and on the free movement of such data and repealing Directive 95/46 / EC (General Regulation on the protection of personal data) ( hereinafter referred to as "the Regulation") relating to the processing of the Customer's personal data for the purpose of fulfilling the purchase contract, for the purpose of negotiations on this contract and for the fulfillment of the public obligations of the Supplier, fulfills the Supplier through a special document on the web page - https://www.outdoor-gear.eu/show-free.htm?fid=22 . 8.1. Customer agrees to store "cookies" on his computer. If the purchase on the website is possible and the Supplier's obligations under the purchase contract are fulfilled without the "cookies" being stored on the purchaser's computer, the Customer may withdraw the consent under the previous sentence at any time. 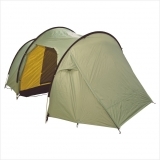 More on a web page - https://www.outdoor-gear.eu/show-free.htm?fid=22 . 9.1. These Terms and Conditions are valid for all sales contracts concluded between the Supplier and the Customer who is the ultimate consumer, not the entrepreneur who buys the goods in the course of their business ("ID No. purchase"). The relations not regulated by these Terms and Conditions are governed by the Czech Civil Code (No. 89 / 2012Sb.) And the Czech Consumer Protection Act (No. 634/1992 Coll. ), All as amended by later regulations. The provisions of these Terms and Conditions are an integral part of the Purchase Agreement. 9.2. If a relationship based on a sales contract contains an international (foreign) element, then the parties agree that the relationship is governed by Czech law. By choosing the right under the previous sentence, a Customer who is a consumer is not deprived of the protection afforded to him by provisions of the legal order from which he can not be contracted and which would otherwise apply in the absence of choice of law under Article 6 (1) (EC) No 593/2008 of the European Parliament and of the Council of 17 June 2008 on the law applicable to contractual obligations (Rome I). 9.3. The Purchase Agreement and these Terms and Conditions are prepared in the English language. The purchase contract is archived by the Supplier in electronic form, in the form of an invoice, sent to the Customer together with the ordered goods or to the Customer's email, and accessible in the Customer section of the online shop - Orders, after signing in to the Customer's personal account. 9.4. The Supplier welcomes any feedback from Customers about their experience with the goods. 9.5. The Czech Commercial Inspection, with the registered office at Štěpánská 567/15, 120 00 Praha 2, ID: 000 20 869, Internet address: https://adr.coi.cz, is responsible for out-of-court settlement of consumer disputes. The online dispute resolution platform at http://ec.europa.eu/consumers/odr can be used to resolve disputes between the Supplier and the Customer from the sales contract. 9.5. These Business Terms and Conditions are displayed on the website of this online store, enabling their archiving and reproduction by the Customer. 9.6. For the sake of completeness only, the Supplier states that the Customer as a consumer is also entitled to address a possible complaint to the competent state supervision authority, i.e. the Czech Trade Inspection Authority. 9.7. The Supplier reserves the right to change the Terms and Conditions. This provision is without prejudice to rights and obligations arising during the period of validity of the previous version of the Terms and Conditions. (*) Delete as appropriate or complete the data.